Viewpoint: How often does a map change the world? The broad scope and potential of GIS is of great benefit to both us and clients in allowing us to focus on the purpose and value of the data we show. As a system designed to capture, store, manipulate, analyse and manage spatial data, it gives us the ability to review a multitude of indices in a single view. It also allows us to drill down, track patterns and interpolate data, synthesising local information in one place, reducing a need for multiple maps and files on different topics. We are not only improving our skills in the practice of GIS, but are going one step further to ensure the wealth of knowledge that the practice has accumulated, is incorporated in our contextual analytics. Our studies in spatial economics have shown that the built environment is not just limited to physical attributes. By using GIS to map data, it allows us to consider cultural, social, health, political, educational, economic and sustainable influences of our environment. You may be thinking, how can a map capture non-physical attributes? In 1854, Dr John Snow mapped outbreaks of Cholera. Snow’s analysis demonstrates how spatial mapping can be used as a problem solving tool, in identifying a link between Cholera cases and water sources. 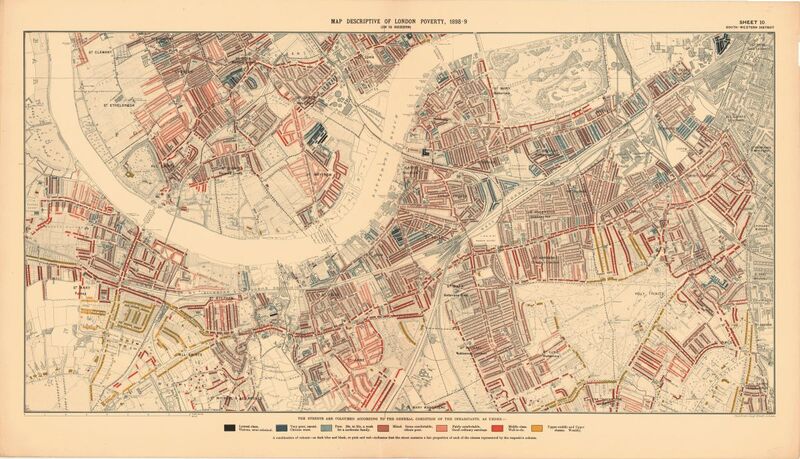 Other well documented examples include Charles Booth’s Inquiry into Life and Labour in London (1886-1903); a social cartography of coloured streets to indicate the income and social class of its inhabitants. The clarity in colour categorisation both visualises Booth’s findings and makes them accessible. Spatial tendencies and geographic distribution of these non-physical attributes, gives us insight into how places are performing. 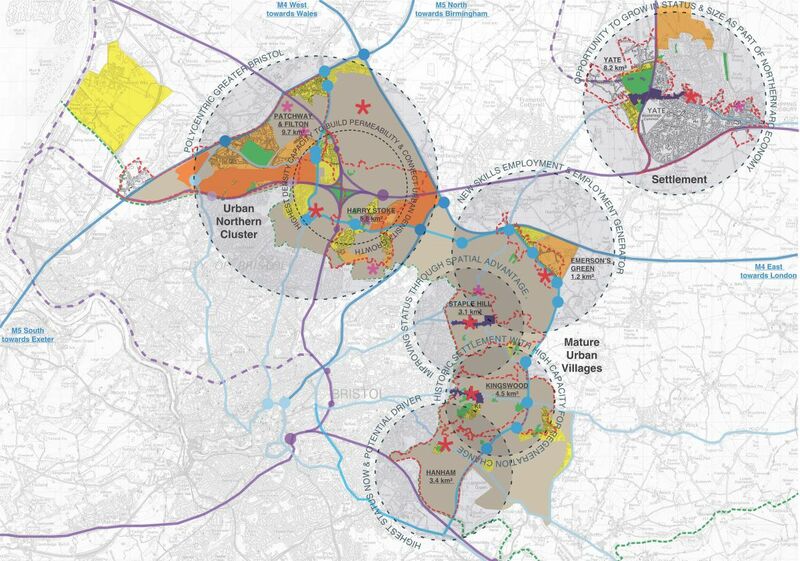 Implementation analysis has allowed our study – a review of the potential for South Gloucestershire Council – to explore spatial means of optimisation for its urban localities. Understand these localities as part of a multi-central model, built around a network of centres. Identify strategic land and consider how these can grow into polycentric neighbourhoods. Promote mixed-use densities with proximity to good employment, housing and exceptional transportation networks. So what benefits will GIS offer our clients? More efficiency in the understanding contextual information. Better decision making through layering complex data. Improved communication, through maps and visualisations that greatly assist in understanding situations, storytelling, and making the data accessible. Managing geographic distributions and spatial tendencies to inform policy and development strategies.